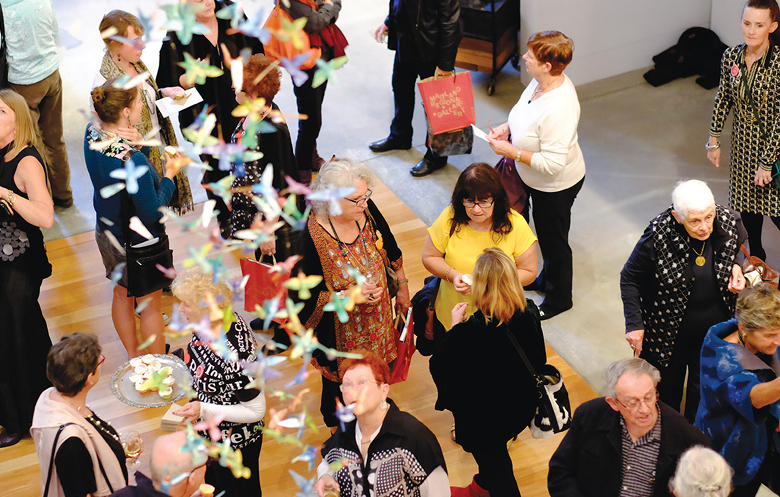 Maitland Regional Art Gallery is funded and administered by Maitland City Council with the support from the NSW State Government through Arts NSW. However 38% of our income is generated by entrepreneurial activity and we invite you, your business or community group to partner with us to become associated with a dynamic community organisation – and at the same time build capacity in your community. There are several ways an organisation can actively support MRAG: through Partnership, Sponsorship or Membership. We are particularly grateful to our generous Patrons – Ray Wilson OAM and Patrick Corrigan AM – and the more than 300 individuals, families, estates, companies and community organisations who have assisted MRAG so far. Join us to inspire the next generation of innovative thinkers and embrace community belonging in all we do. Your gift may be bestowed through your time (volunteering) or networks (connect us to artists, donors or relevant organisations), art collection or financial contribution. MRAG is endorsed as a Deductible Gift Recipient. Donations of $2 or more are tax deductible and gratefully received. Maitland Regional Art Gallery is a service of Maitland City Council and supported by the NSW Government through Create NSW.